A lifetime of fishing around NYC and the amazing recipes I’ve gathered along the way. Kindle version has useful links and more than 50 recipes! NW winds 15 to 20 kt with gusts up to 25 kt. N winds 10 to 15 kt. Gusts up to 25 kt this evening. snow. Vsby 1 to 3 nm. NE winds 5 to 10 kt. Waves 1 ft or less. 1 ft or less. Chance of rain. SW winds 10 to 15 kt, becoming W after midnight. Waves 1 to 2 ft. Chance of rain in the evening. Out last couple of weekend trips have seen mostly Mackerel coming up. There has been a nice body of Mackerel pretty close to home with whales feeding on them right next to the boat ! We will see if they are still around tomorrow before looking for some Cod. Sailing Saturday 1/26 and Sunday 1/27 at 7am to 3:30 pm. The Ocean Eagle V is family owned and operated. Our clean and comfortable 80′ vessel is fully equipped with all navigation and USCG safety equipment. The Ocean Eagle V sails every day, anchoring or drifting over reefs, wrecks, and those special spots that Captain Greg has found over his 30 years of fishing New York area waters. Join Captain Greg and his crew aboard the Ocean Eagle V for an 8-hour full day fishing trip for sea bass, triggerfish, porgy, fluke, cod, ling and black fish! Captain Greg has been called, “one of the best tautog fishermen” in the New York area. He is licensed and certified, and his experience is as good as it gets. Take a trip with Greg and his brothers Glenn and Jeff and let them show you how to become a “sharpshooter” for blackfish. Hot, homemade galley food served daily! Let Captain Greg hook you up over a wreck or reef and put you right on the fish! Plenty of room, no over-crowding, and a full day schedule makes the Ocean Eagle V the perfect choice for fishing in New York. (718) 981-9750 Captain Gregg spares no expense in trying to find the fish. Great crew, fine galley and usually good fishing. This boat is one of my favorites. 917-669-2985, hope to see you on the boat! Call Captain Mike for schedule. See ya next seasonPlease check our current schedule page before you purchase tickets. Welcome Experienced Fishermen and Novice alike. Come on down and join us aboard the Sea Queen VII, Sheepshead Bay’s original and most experienced 1/2 day boat! Captain Steve and the crew of the Sea Queen VII Welcomes Curious would-be fishermen and women on our vessel for Half-Day and Nightly excursions. We thank you for you continued patronage. The Lady Flamingo is New York’s premier sport fishing, cruising and event hosting yacht. We are located at Knapp st and the Belt Parkway. We have private docking and plenty of free secure parking in our adjacent parking lot for all events. We have been satisfying the fishing and cruising public for over 60 years and 4 generations! Capitol Princess NYC’s Premier Fishing and Charter Yacht We provide all rods, reels, bait, tackle, non-alcoholic beverages and Ice for your catch are provided at no extra charge! Our mates are the best! Slower fishing today than yesterday for sure, but we managed to pull off some real quality keepers! We want to thank all the people that came out and shared their Father’s Day on the Capitol Princess, were happy to have you part of the family! Half Day, 8 a.m. 1 p.m. & 7 p.m.
SPECIAL 3/4 day PORGYS tomorrow 8am till 2pm. Action packed plenty of room. The Riptide III, a 90 ft long and 24 ft wide vessel that comfortably rides up to 110 passengers. You’ll enjoy the spacious fishing deck, indoor cabin, and upper deck. • Porgies (May 1-October 30; Everyday except Thursday): Great action, easy to catch. Tons of fish. • Fluke every Thursday: (May – Sept): Large, fun to catch and good eating. • Blackfish (October 8- December 15): Feisty and fun to catch, blackfish are also great eating fish! 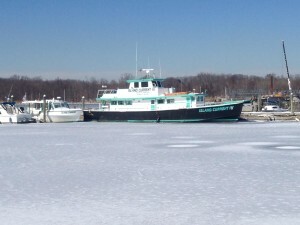 Previous UPDATED- New Jersey Party Boats Fishing. Friday March 1 Kicks Off Winter Flounder and Striped Bass Season!